Hugh Sebag-Montefiore in this stirring and meticulously researched account, narrates the gallantry, grit and gumption of the British Expeditionary Forces (“BEF”) in their fierce albeit futile defense of France from rampaging German forces, before a miraculous evacuation back to British shores via Dunkirk. What makes this 75th Anniversary Edition an absolutely must have is the space devoted to various first hand accounts as described by a few of the valiant survivors, of the bruising battle that has acquired such mystique and acclaim so as to secure its place firmly in the pantheons of legendary folklore. The spare, unflinching and almost matter-of-fact manner in which the soldiers describe their encounters with death (or near death as would be more appropriate), desolation, destruction, and deceit makes one doff his hat in undisguised admiration of the sincere heed paid to the call of duty. The complete absence of vanity or gloat in the words of those who were still lucky to survive Dunkirk speaks volumes about the character of the rank and file forming an essential part of the BEF. Hugh Sebag-Montefiore’s renown as a formidable military historian finds complete vindication in this stupendous work. A research that leaves no stone unturned, unearths exploits hitherto recorded, events long buried under the fast passage of time and evidence either deliberately concocted or deceitfully hidden, depending upon the relevant motive. Each significant conflict, in addition to being explained in great detail is ably supplemented by maps charting out the exact position of each regiment, location of each town and the territory of each significant advance and retreat. Similarly each strategic bridgehead and canal with key crossing points are sketched out in the aforementioned maps. The reader can seamlessly visualize the gripping conflict between the warring forces by taking prompt recourse to these invaluable illustrations forming part of the Appendix to the book. 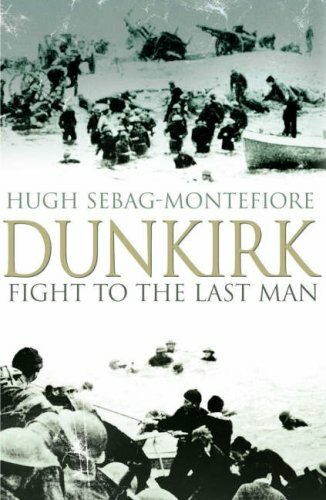 Montefiore also does a magnificent work in ruthlessly highlighting the political indecisiveness of the Allies, pathetic co-ordination between the forces at the front and the General Headquarters at the peak of battle, heated skirmishes between the English and French military leaders over issues of both trivial and vital importance and the mad scramble to form part of the ultimate evacuation from Dunkirk, that has the Allies astonishingly inflicting physical injuries on each other. All these disgruntlements, disagreements and derelictions, combined together to precipitate an already calamitous situation thereby leading to the capitulation of a wilting France to the determined advances of Hitler’s forces. The most hear warming as well as heart rending moments in the book deal with the courageous exploits of individual soldiers and cornered regiments in the face of seemingly insurmountable odds and irredeemable adversity. The refusal to back down by the 51st Highlanders Division in spite of complete hopelessness, thereby allowing numerous BEF soldiers to be extricated from the killing fields of France into the relative safety of Great Britain (although only to live to fight another day), is just one example provided in the book exemplifying what the author terms the inimitable bulldog determination of the British. The indiscriminate butchery of captured English Prisoners-Of-War at Le Paradis and the wanton massacre of their counterparts surrendering at Wormhoudt makes for some extremely uncomfortable and squirming reading. Relying on new sources and documents, Sebag-Montefiore reveals the sadistic streak running through the vengeful SS Troops that led to humanitarian concerns and Prisoner Of War conventions being disdainfully disregarded. ‘Dunkirk’ is an absolutely indispensable read not only for all military history buffs but also for every one curious to know more about one of the most epochal events surrounding World War II. It is seventy seven years since the last BEF soldier scrambled aboard a destroyer ferrying him back to his Motherland. 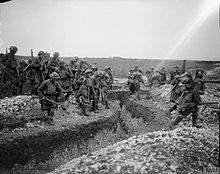 It is also seventy seven years since the last British and French soldiers either gave up their lives or gave themselves up to the Germans, but not before every last man stood his ground in a fight for the finish thereby ensuring that thousands of their country men could escape towards the prospects offered by relative safety. This sacrifice transcending every other form of nobility still continues to embellish the character and cause of every single soldier who represented his country at Dunkirk with pride in his heart and flag on his sleeve. ‘Dunkirk’ – Tribute to a sacrifice of the highest order.